Our donors have been pivotal in Momiji Health Care Society becoming one of the best examples of elder care in the country. 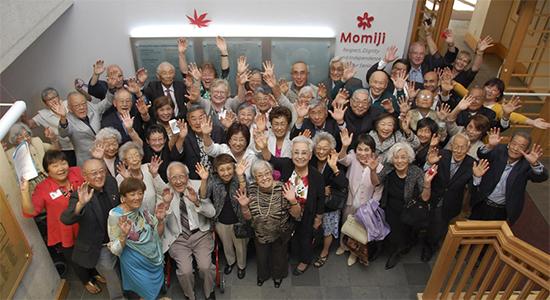 Donors have helped Momiji honour its philosophy to age with respect, dignity and independence through funding enhanced and culturally-specific programs and services. 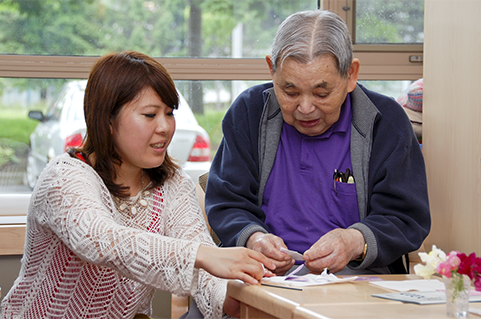 Momiji seniors participate in activities that promote physical, mental, and emotional health and well-being – adding life to their days and days to their lives. Statistics Canada recently reported that by 2021 the number of seniors will surpass the number of young people for the first time in Canadian history. Although seniors today only represent 16% of Canada’s total population, they use 50% of our national health spending budget. And future projections look even worse. “Over the years I have volunteered at a number of senior centres in Toronto and at every place I saw a growing amount of unmet needs. Simply put – the demand was greater than the resources available; whether it was being short staffed, using antiquated equipment, or just not enough physical space to conduct programs. And I found Momiji was no different. However despite these limitations, Momiji maintains a high level of care because their staff is always willing to give 120%. But I do worry about the great pressure this puts on them, because even a diamond under enough pressure can be ground to dust.